Charles is better known as “Cheech.” He was born and raised in Brooklyn. In 2010, he asked Christina to be his girlfriend three times before she said, “Yes.” They’ve been married since August 2015. He graduated from Cairn University with a Bachelors in Bible and a Bachelors of Social Work. A short time after, he was led to Westminster Theological Seminary to study theology and received a Masters in Divinity. 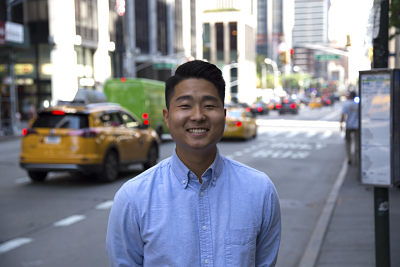 He loves and reps NYC because of the diverse people, cultures and foods. Cheech loves all sports from local-known handball to basketball and everything in between. He is also a self-renown, amateur photographer and videographer.